All homes currently listed for sale in the zip code 85296 as of 04/22/2019 are shown below. You can change the search criteria at any time by pressing the 'Change Search' button below. "Wow! 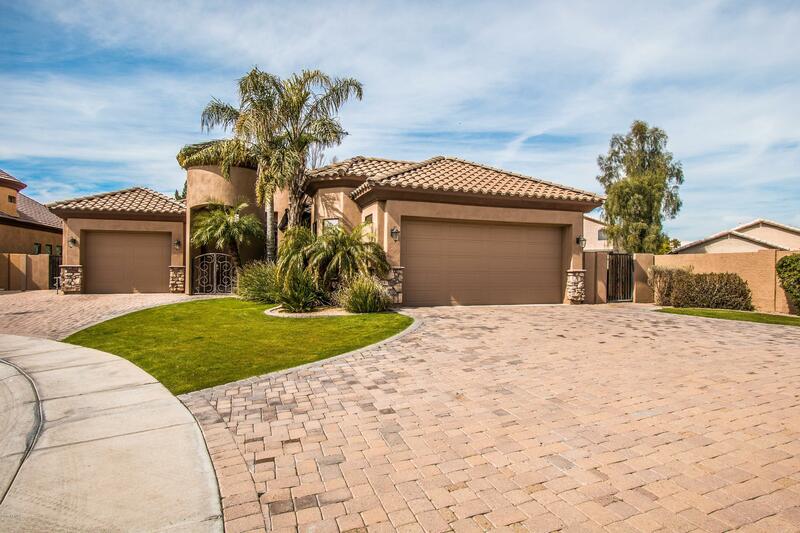 Outstanding property located in desirable Gilbert in impeccable condition! 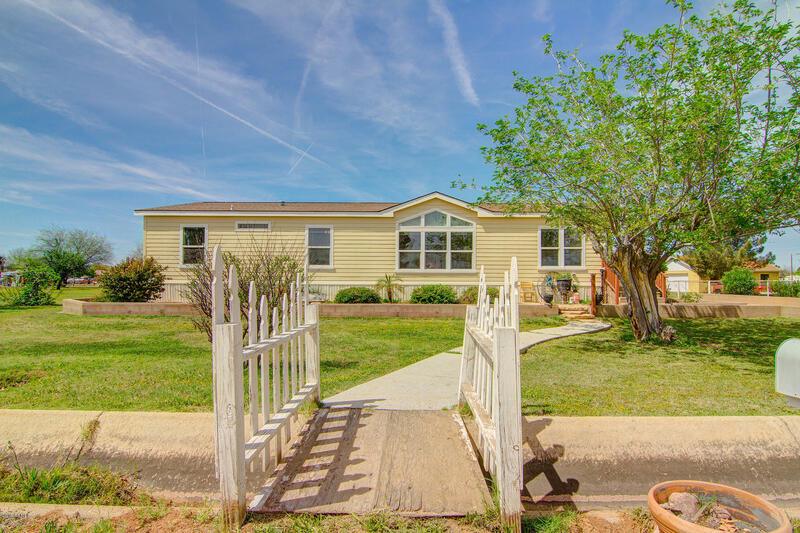 (See video tour) Featuring beautiful grassy front landscaping, RV gate, circular drive, and 4 car extended. garage! Fabulous interior provides 5 bed, 3.5 bath, den, work out or media room, gas fireplace, wet bar, and luxurious light fixtures throughout. 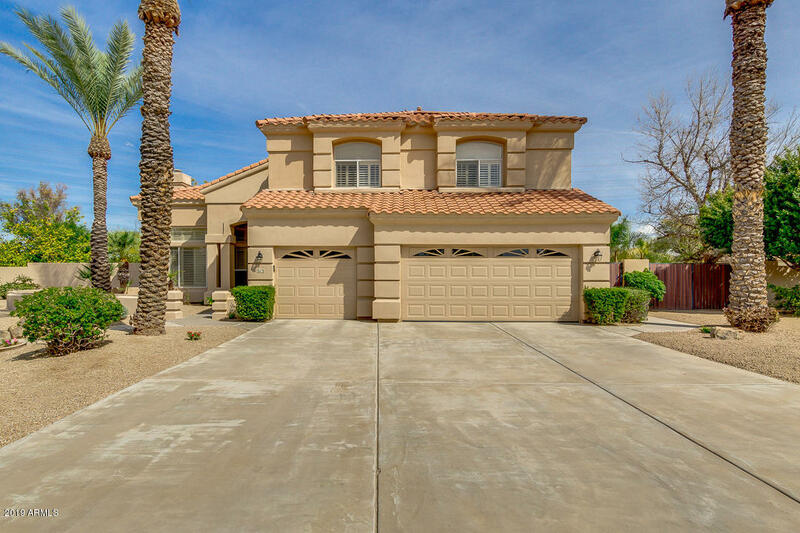 Remarkable open kitchen is complete with soft close cabinets, pantry, large centered island with sink, granite countertops and back-splash, pendant lighting, and upg"
"RARE OPPORTUNITY in Gilbert Circle G! Location! Location! Location!...& Luxury! 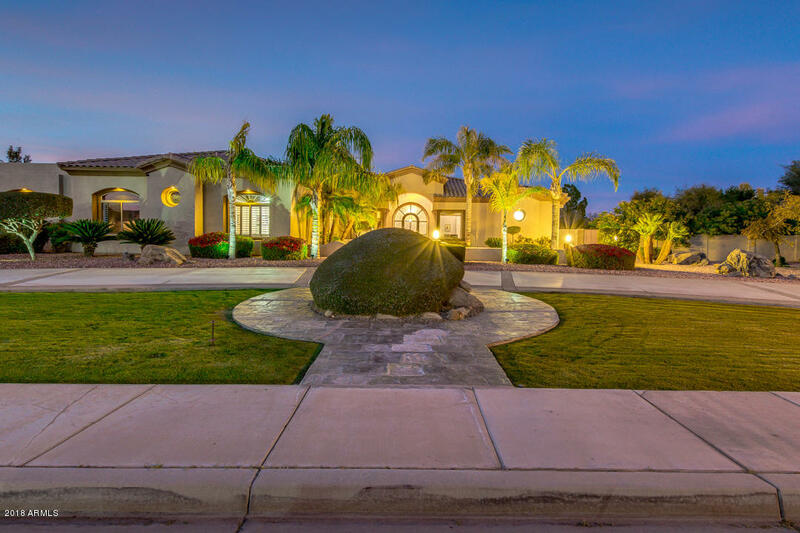 This stunning custom home is situated on a 1/2+ acre cul-de-sac lot & features a $100k+ resort style backyard that is an entertainers dream! 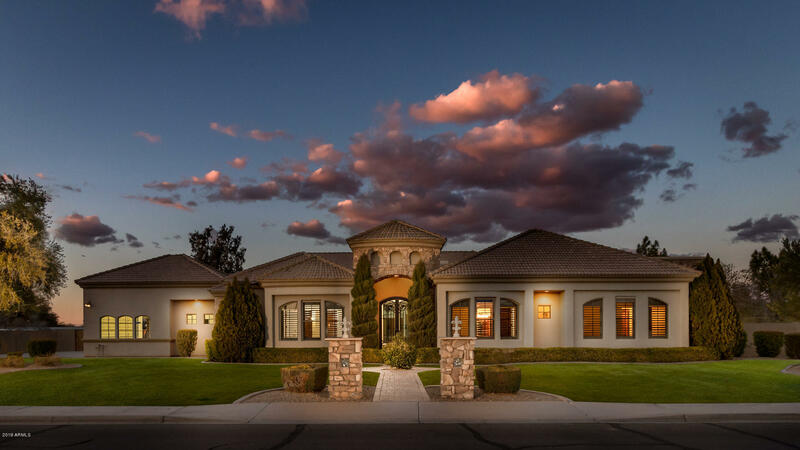 The homes impressive grand entry leads into the formal living rm w/2 colossal windows overlooking your oasis backyard w/bridged Ramada, pool/spa, water feature & built-in BBQ! & It's high-end interiors do not disappoint! Gourmet Kitchen includes Viking Fridge, gas Cooktop w/hood"
"Incredible 6 bed, 3.5 bath home located in the unique community of Agritopia! Well cared interior has formal living & dining room, designer paint throughout, slate stone & wood flooring, ample family room with cozy fireplace, and fabulous basement with kitchenette. Gourmet kitchen equipped with SS appliances, granite counters, plethora of cabinets, and travertine back-splash. Awesome master bedroom offers spacious walk-in closet and full bath with double sinks & separate shower/tub. Grassy backy"
"Luxury living in Warner Groves at Morrison Ranch! 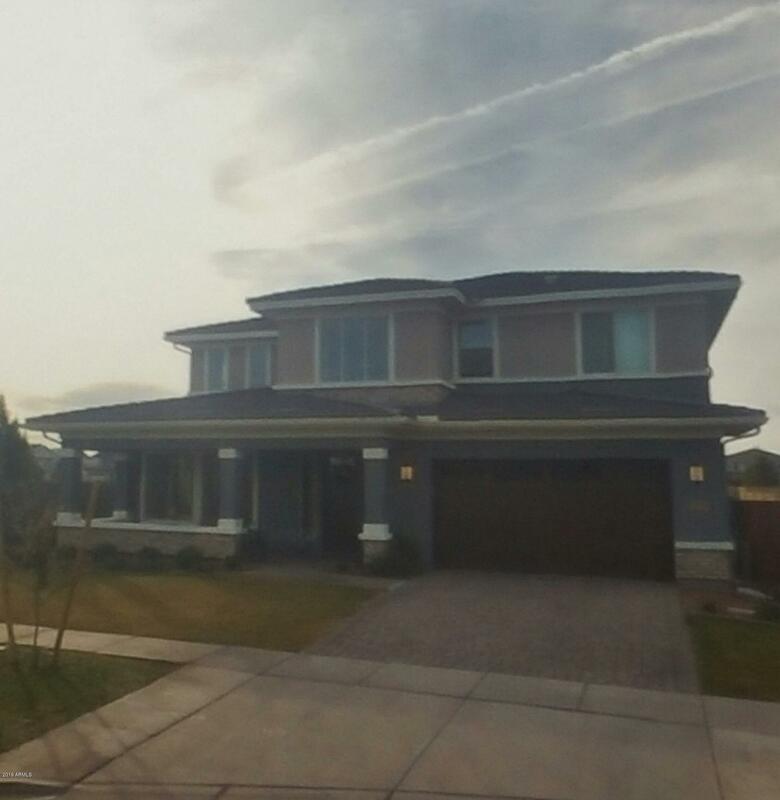 Highly upgraded 5 bedroom, 4 bath, plus DEN, plus large open LOFT. Enjoy the covered front porch on this Private, PREMIUM LOT with green belt in front of house and neighborhood park adjacent to home. This home is TURN-KEY with every upgrade imaginable. Gourmet kitchen features stacked cabinets to the ceiling, stainless steel appliances, gas range, walk-in pantry with second fridge, touch faucet and quartz countertops. The open floor plan fea"
"Need more space without extending your commute? 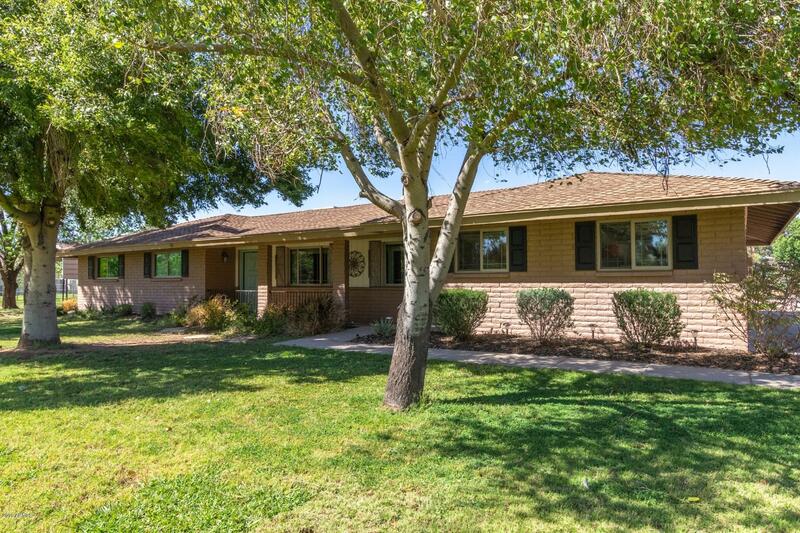 This 1+ acre (with horse privileges) 4191 sq ft home loaded w/upgrades truly delivers! 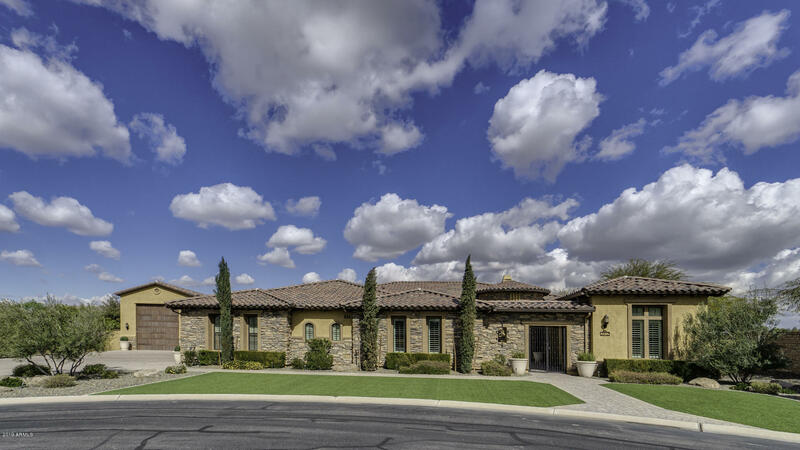 Pleasant neutral colors, plantation shutters, dramatic foyer, gorgeous travertine flooring and so much more... Beautiful formal living with a massive stone surround fireplace & large formal dining room, with coffered ceilings and dramatic can lights, perfect for elegant entertaining. 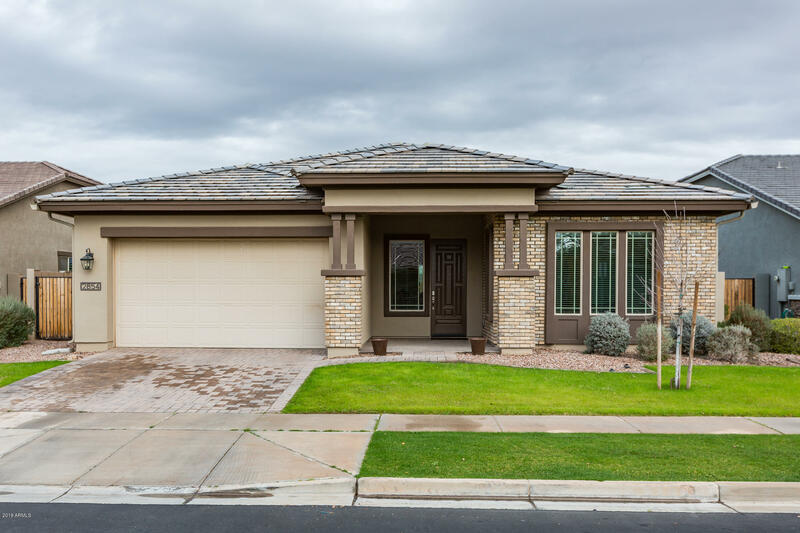 Gourmet kitchen includes has upgraded cherry cabinetry, granite counters, stone"
"Beautiful, custom home located in highly sought after Circle G Ranch neighborhood in the Morrison Ranch area. 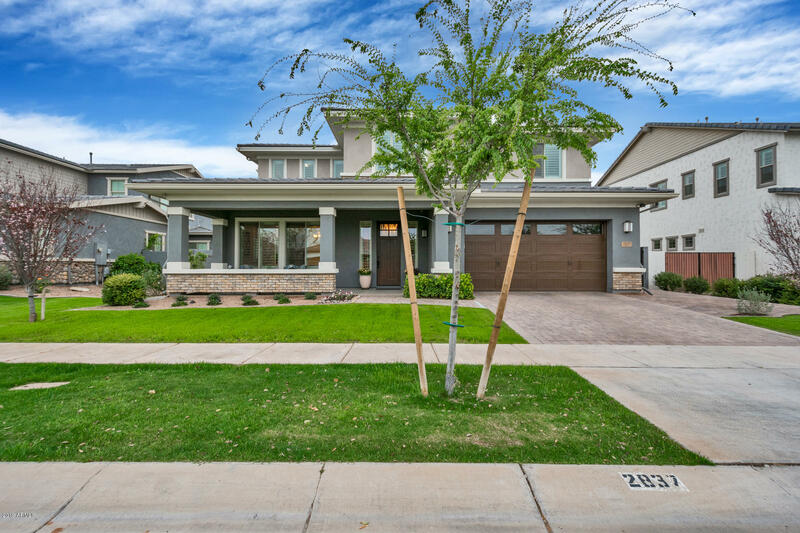 This single story split floor plan home features 12' tall ceilings, and an open floor plan that is perfect for family and entertaining. Beautiful alder wood stained doors and wood shutters add to the character of the home. The large master bedroom boasts two closets, oversized walk-in shower, large soaking tub, separate vanities, and a door that leads to the patio. A spacious kitchen has"
"IMMACULATE CUSTOM HOME FEATURES: 4 BEDROOMS 3.5 BATHS PLUS AN ADDITIONAL GUEST QUARTERS WITH SEPARATE ENTRANCE THAT WOULD BE 5TH BEDROOM AND 4TH BATHROOM/FORMAL LIVING AND DINING ROOMS, FAMILY ROOM WITH COZY FIREPLACE, SPACIOUS KITCHEN WITH LARGE BREAKFAST BAR GREAT FOR ENTERTAINING AND WALK IN PANTRY, DEN WITH BUILT IN BOOKCASE/ BEAUTIFUL TILE AND WOOD FLOORING IN ALL THE RIGHT PLACES AND CARPET IN BEDROOMS, LARGE LAUNDRY ROOM WITH UTILITY SINK AND CLOSET, 3 CAR GARAGE; SIDE ENTRY, RV GATE, GOR"
"Welcome home to this luxurious upgraded 5 bed/4 bath + loft home adjacent to community green belt on two sides in Warner Groves at Morrison Ranch! You can enjoy coffee/happy hour on the covered front porch and the inside offers gorgeous formal & informal living spaces. Entertain loved ones in the gourmet dine-in kitchen that opens to the family room and large patio. 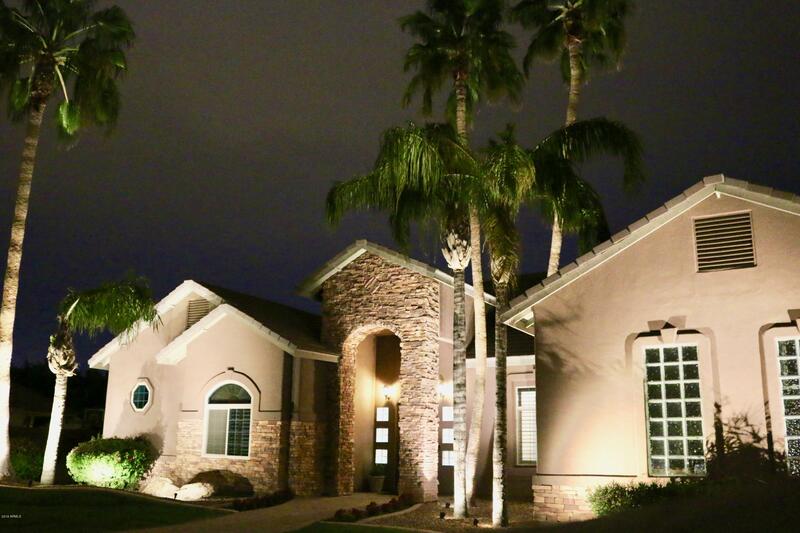 Kitchen offers large island/breakfast bar, plenty of granite countertops & cabinet space, walk-in pantry with more cabinets, stai"
"EXQUISITE single level home on the golf course in the desirable gated community of Greenfield Lakes! 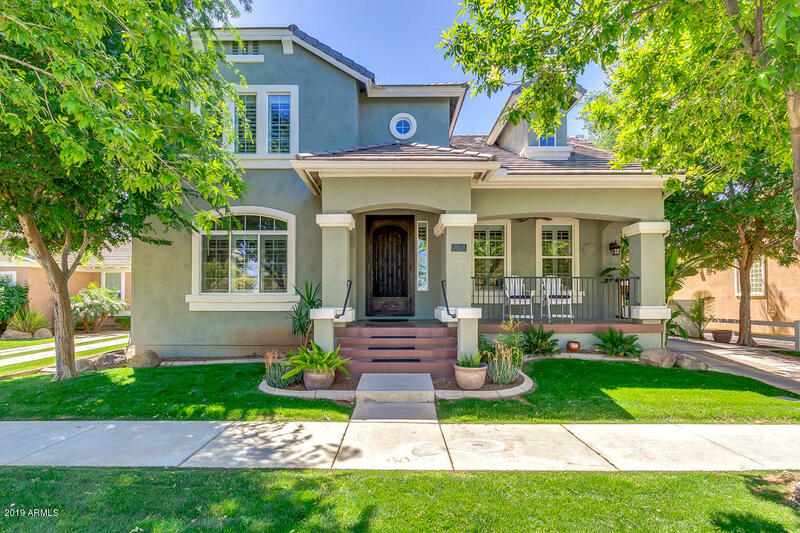 Gorgeous curb appeal, courtyard entrance awaits. This 4 Bedroom, 3 full Bath, with Office/Den, Formal Living & Dining, Family Room with fireplace and open concept Kitchen is an entertainers dream! Kitchen features granite counter tops, island/breakfast bar & breakfast nook, plus wine bar with counter! Let the outside in by opening the double arcadia doors to the fabulous backyard OASIS! 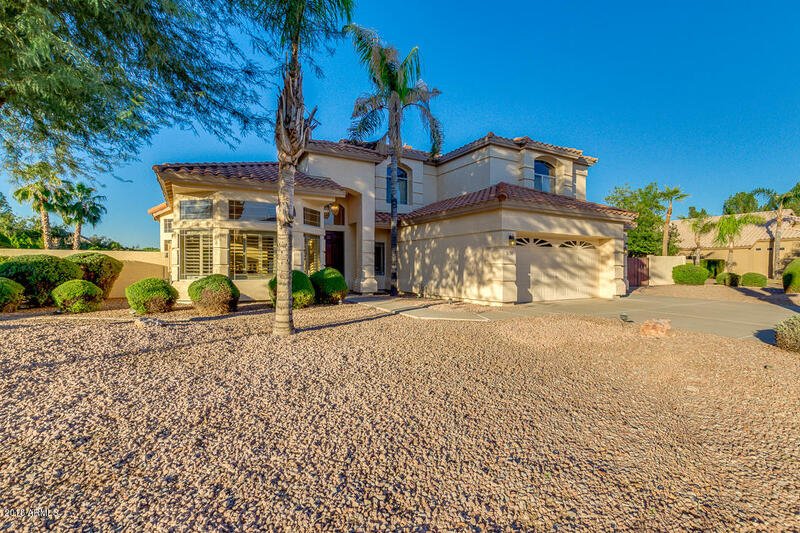 Pebble "
"You'll love this stunning custom home in the heart of Gilbert. It has it all, thoughtful multi-generational layout, beautifully appointed gourmet kitchen, rich travertine flooring, soaring ceilings, spacious master suite with a gas fireplace, ample additional bedrooms, finished basement and oversized garage. The kitchen will satisfy even the most discerning home cook with stainless appliances, plenty of cabinets and a spacious island. 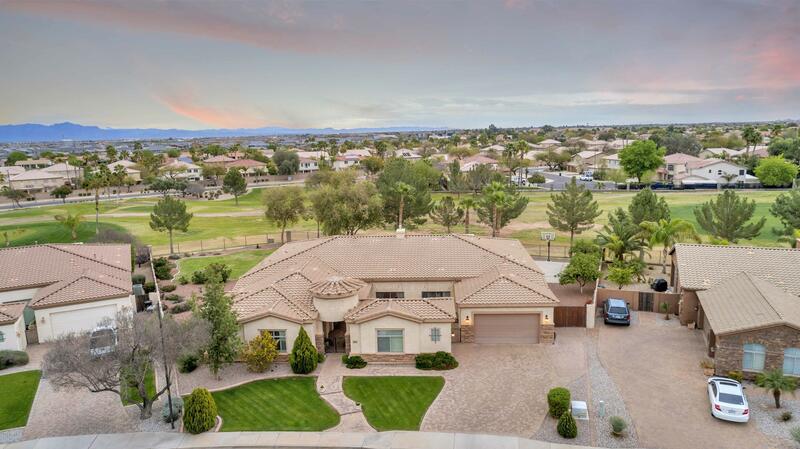 Did I mention it has a butler's pantry that leads to the form"
"Welcome home to your slice of paradise in the highly sought-after Ka-Lo Park, this is a rare opportunity to own prime real estate in Gilbert. This is a beautiful wide open 2.5 acre horse property with mature trees, fenced yard, green pastures, and grandfathered water rights. 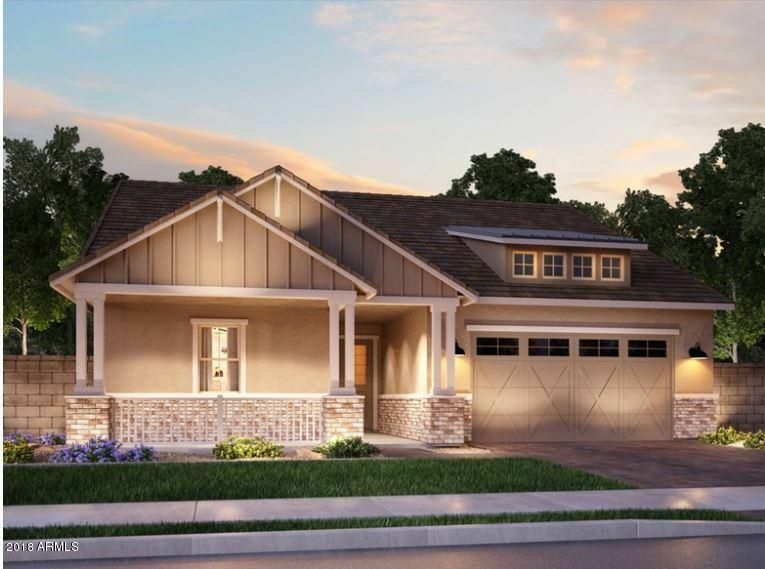 The front of your new property features a cozy 3 bed 2 bath home with vaulted ceilings and an open concept floor plan. 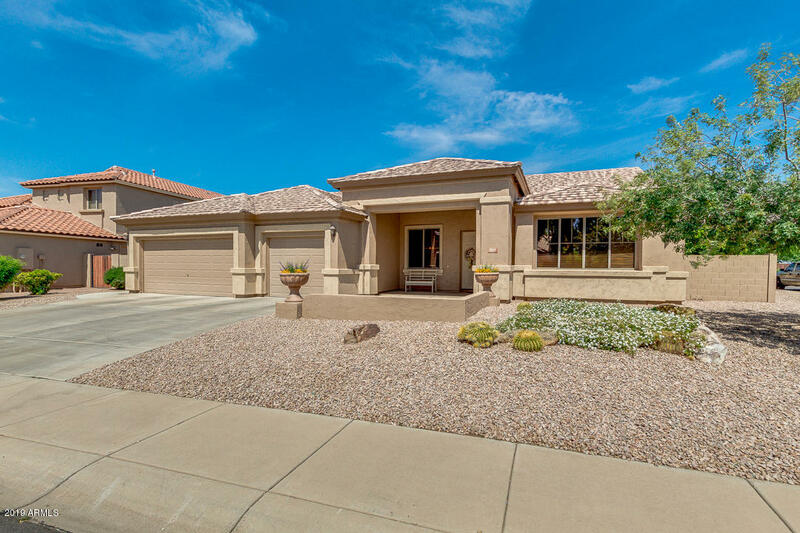 Enjoy the large inviting master bedroom with oversized master bath and walk in closet. Great for entertai"
"Absolutely Stunning! 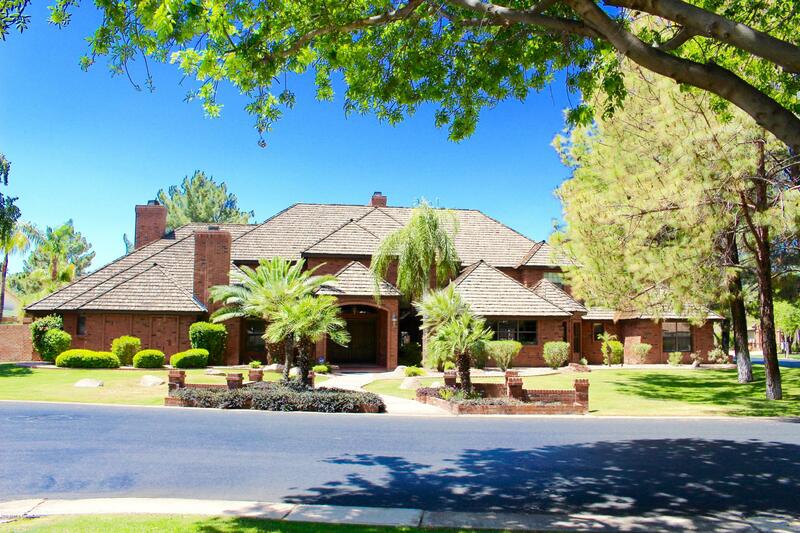 Immaculate custom home that has been beautifully updated in prestigious gated community. Giant 20,000+ sq. ft. lot. Formal living and dining room and huge family room with brick fireplace open to kitchen and breakfast area. Kitchen has stainless appliances, double ovens, trash compactor, quartz counters and island with butcher block top. Truly a cook's kitchen! Master bedroom suite split from other two bedrooms. Master bath updated with his and hers showers, huge clos"
"Brand NEW energy-efficient home ready July-August 2019! 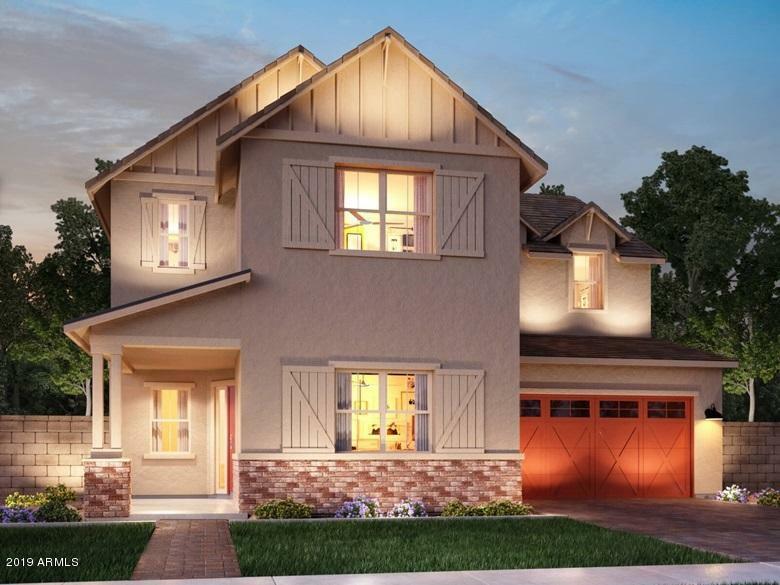 Sycamore home offers open concept main level with upstairs game room. Enjoy happy hour on the covered patio before heading in to prepare dinner at the sprawling kitchen island. The 3-car tandem garage easily stores your outdoor toys. Upstairs, the game room is flanked by generous bedrooms and the owner's suite. 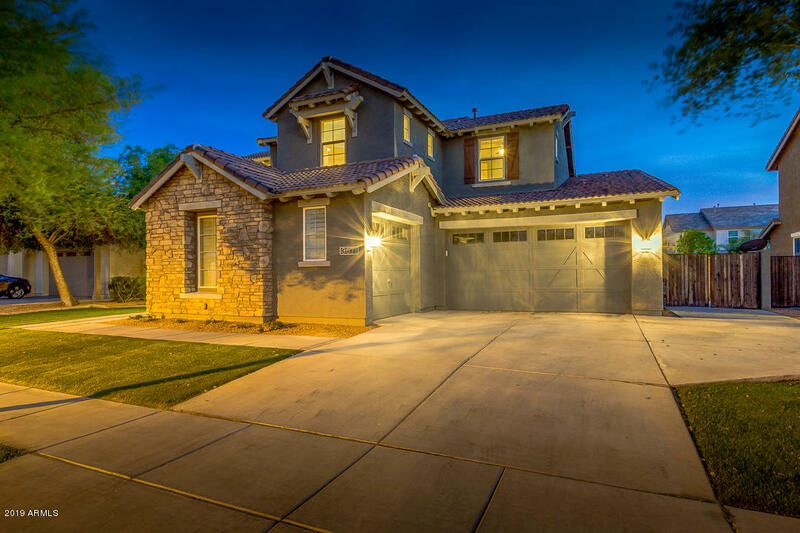 Lakeview Trails atMorrison Ranch part of more than 400 acres of pedestrian friendly greenbelts, tree lined streets and plenty of o"
"With the sought-after Bach floor plan at Lakeview Trails in Morrison Ranch, this home offers many appealing upgrades to the discerning buyer. The home's footprint is set close to the front on the almost 10,000 sq ft lot, creating more space for back yard living. The additional 2-ft garage extension allows parking for larger SUV's and trucks. Inside, a stacked stone fireplace adorns the wall of the entire family room, which includes built-in surround sound speakers. 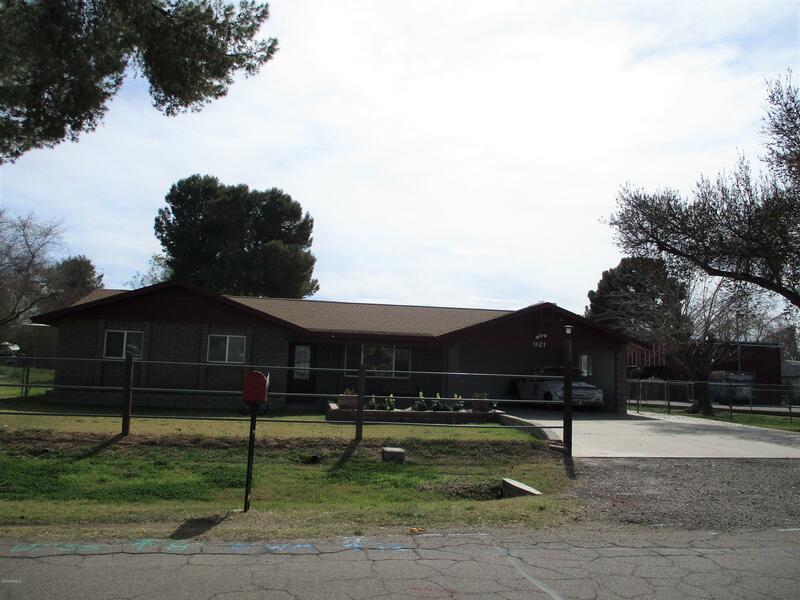 Vaulted ceilings, 8 foot d"
"Beautiful NEWLY REMODELED BATHROOMS (March 2019). A Must see never used custom kitchen with top of the line Wolf stainless steel appliances including a sub-zero refrigerator, full size range with a gas grill and electric grill along either side. Built in to the granite island you will find a steamer and plenty of cabinet space. Sliding doors from the kitchen and family room lead out to the large backyard that includes a pool, shed/workshop and mature fruit trees and plenty of room to add more." 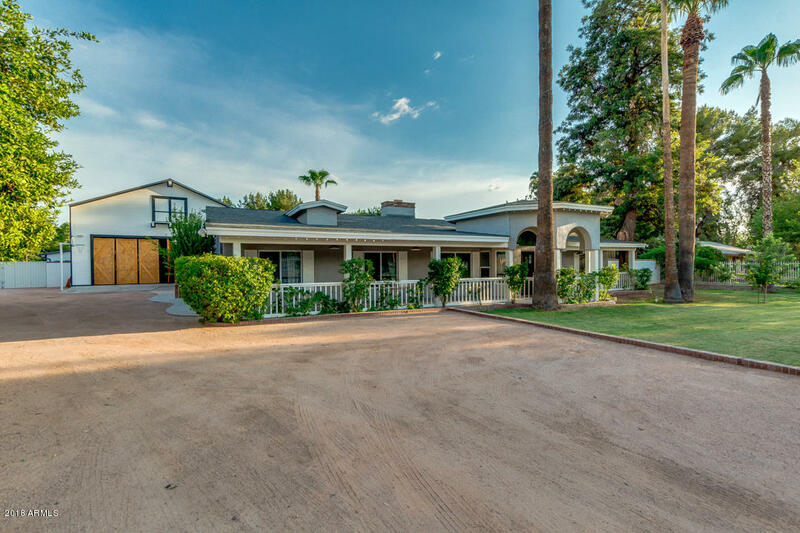 "Situated on almost 1.5 acres, this beautiful horse farm in the heart of Gilbert has a backyard oasis outside, and gorgeous finishes inside! Fireside family room with vaulted ceilings open to a huge eat in kitchen: granite counters, back splash, and double ovens with pendant lighting accents. Master bedroom has ensuite bath and 2 more bedrooms share a bath. 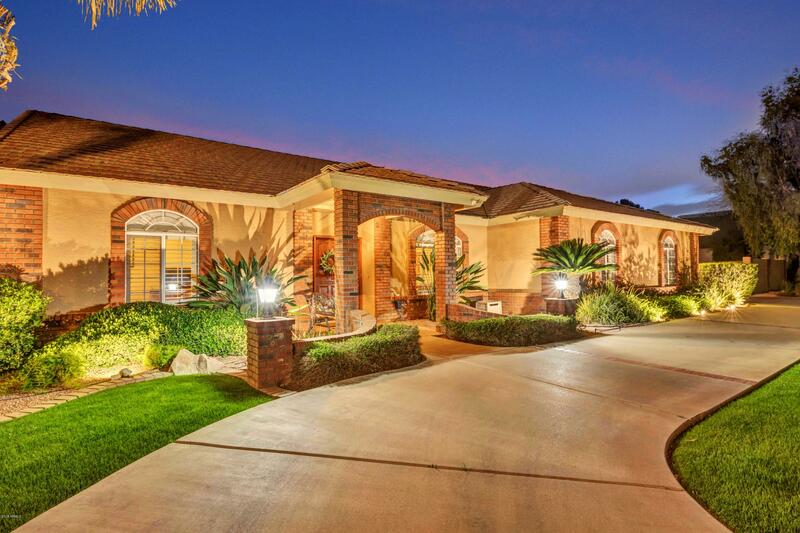 Gorgeous patio has a pergola overlooking the pool & spa area with plenty of entertaining space!" "Over $5,000 of Options at NO Cost! Brand NEW Energy-Efficient home ready December 2018! Bailey North/South facing home is a beauty. Plenty of room to congregate in the open concept living area. The private Den can be used for formal dining as well. Lots of storage in each bedroom walk-in closet. Lakeview Trails at Morrison Ranch part of more than 400 acres of pedestrian friendly greenbelts, tree lined streets and plenty of open space. 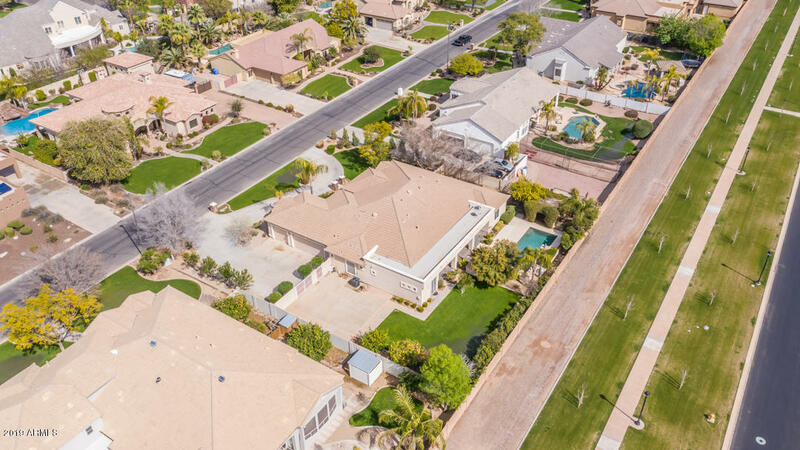 Fabulous shopping,dining, within 5 minutes of the San Tan V"
"Nicely upgraded throughout, this one-owner home offers 3 bedrooms + den & 2.5 baths in 2525 SqFt. Great room floor plan w/split master bedroom. The kitchen features an abundance of cherry cabinetry w/crown molding, stainless appliances, electric cooktop, double wall ovens, walk-in pantry & large island w/breakfast bar. French doors lead out from the dining area to the covered patio & large grass backyard. The spacious master bedroom has a private bath with dual vanities, oversized shower, so"